The video above shows you old galaxies. 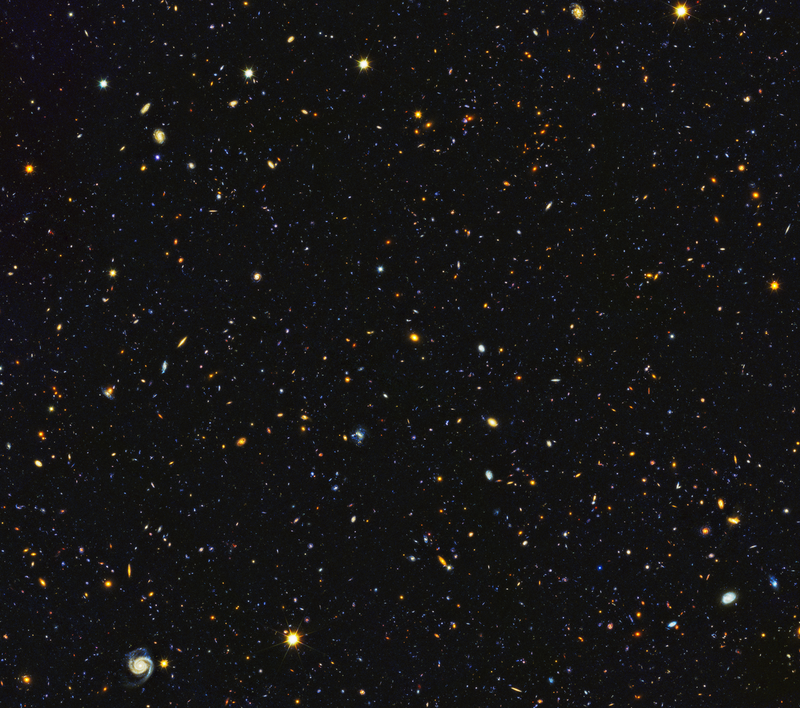 Really old galaxies. It’s been put together based on images taken by the Hubble Telescope. I sometimes snarl at my TV, when Neil deGrasse Tyson or Brian Cox call telescopes “time machines”—well, no, I don’t. I don’t carry this kind of vitriol in me. I do wish, however, that they wouldn’t just say that and point out that it takes light a while to go from one place to another. There is so much more to it than that. To give you one example, the word “light” means different things to different people. It is not self-evident that a finite light speed sets a limit to the speed of communication between stars and galaxies. Aliens may exist, is what I say, but it is not very likely that we can communicate with them if they are “out there”.